The U.S. Government alone classifies over 500 million pages of documents each year. As far as transparency goes, there is none. How can we know anything about what is happening on our planet if so much information is hidden from the public domain? By now, the classified world has moved far beyond the reach of the public, and far beyond in its power and capabilities with regards to technology, scientific and cosmological knowledge and more.(1). The United States has a history of government agencies existing in secret. The National Security Agency (NSA) was founded in 1952, its existence was hidden until the mid 1960′s. Even more secretive is the National Reconnaissance Office, which was founded in 1960 but remained completely concealed for 30 years. Recent leaks from Edward Snowden, a former intelligence contractor, have shed light on the black budget world. This is a world full of Special Access Programs (SAP) that garnishes trillions of dollars every year to conduct operations the general public knows nothing about(2). These programs do not exist publicly, but they do indeed exist. They are better known as ‘deep black programs.’ A 1997 US Senate report described them as “so sensitive that they are exempt from standard reporting requirements to the Congress (3)(1)”. One aspect of these ‘deep black programs’ is the development of deep underground military bases, and they can go up to several miles underneath the surface. There are also known underground facilities in existence. 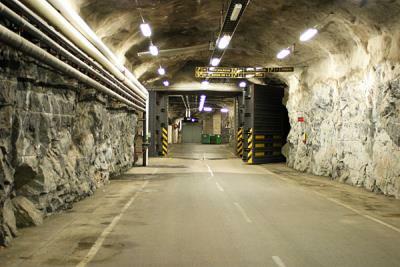 Take for example, the Swedish underground military facility at Musko. 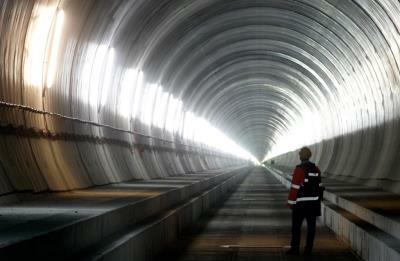 It’s a large naval base built underneath a mountain. The hospital alone within this facility holds over 1,000 beds. Musko engineers blasted out 1,500, 000 cubic meters of stone in order to build it (4)(5). He then went into a discussion of the Crops’ involvement in the 1960′s in the construction of the large and elaborate NORAD base buried deep beneath Cheyenne Mountain, in Colorado. This is just a public statement, but you will not find a more significant public admission of secret, underground bases than this one. People speaking is not the only evidence available, there are actual documents obtained by researchers through the Freedom of Information Act (FOIA) that shed more light on the subject, and clearly outline plans for the contraction of underground facilities(4). There are documents available which expose a deep underground command center that was to be built far below area’s such as Washington, D.C. and China Lake, California during the Cold War. Documents available show that in 1964 the military was considering building a huge underground cavity 4,000 feet deep beneath China Lake (4). It’s well known that the United States and the Soviet Union created a vast infrastructure to support a complex of offensive and defensive weapons during the Cold War. This infrastructure included sites and facilities for developing, testing, storing and manufacturing weapons. There was also a host of communication and command centers(7). The worlds most prominent researcher on Underground Military Facilities (in my opinion) Richard Sauder, Ph.D, told of an interesting story in his book Hidden In Plain Site (4) that I’d like to share with you. The very first TOP SECRET memo on the subject was issued by Robert McNamara, on November 7th 1963 from the office of the Secretary of Defense. This took place right before the Kennedy murder (4). There is a very grave danger that an announced need for increased secrecy will be seized upon by those anxious to expand its meaning to the very limits of official censorship and concealment. That I do not intend to permit, to the extent that it is in my control. We are opposed around the world by a system which has ocnscripted vast human and material resources into the building of a tightly knit, highly efficient machine that combines military, diplomatic, intelligence, economic, scientific and political operations. Its preparations are concealed, not published. Its dissenters are silenced, not praised. No expenditure is questioned, no rumor is printed, no secret is revealed (7). 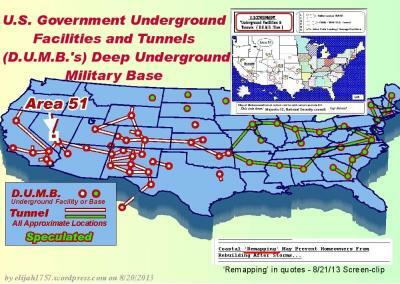 A Second memo was issued on the same day concerning a proposed Deep Underground National Command Center that would be approximately 3,500 feet underground Washington. (4) The memo also mentioned elevator shafts below the State Department and White House that would descend to 3,500 feet with high speed, horizontal tunnel transport to the main facility. Remember we are talking about the 1960′s, what type of technology would be available for them to complete a project like this? I just wanted to get across that Deep Underground Military Facilities are not a conspiracy. What happens beneath our feet is garnishing trillions of dollars from the black budget for special projects that the majority of the human race knows nothing about. (6) Lloyd A. Duscha, “Underground Facilities for Defense – Experience and Lessons,” in Tunneling and Underground Transport: Future Developments in Technology. Economics and Policy, ed. F.P. Davidson (New York: Elsevier Science Publishing Company, Inc., 1987), pp. 109-113.